Catherine, Duchess of Cambridge attends a 'Mental Health In Education' conference at Mercersâ€™ Hall on February 13, 2019 in London, England. The conference will bring together delegates from across the mental health and education sectors to explore and discuss the benefits of collaborative working and what more can be done to tackle mental health issues in schools. 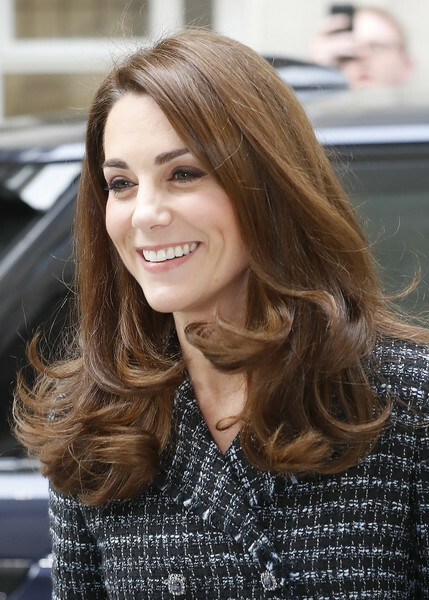 Kate Middleton attended the Mental Health in Education conference wearing her signature side-parted 'do with curly ends.